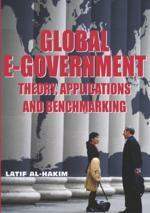 The objectives of this chapter are threefold: first, to first provide a conceptual framework for understanding e-government as a set of four, interrelated dimensions of public sector change; secondly, to consider the relevance and applicability of this framework for both developed and developing nations; and thirdly, to explore the interface between domestic and transnational governance reforms in an increasingly digital era. The world in the twenty-first century needs a globally federated governance architecture, the design of which must include social, economic, political and technological considerations. This strengthened focus on transnational governance systems must also be joined by the recognition of the dysfunctional nature of the present system of bilateral international assistance programs among countries. With improved governance conditions of transparency and trust transnationally – facilitated in part by a much more politically creative and aggressive use of new technologies, the resources allocated by each country across their various recipients would serve both developing nations and the world as a whole if they were pooled and coordinated through new transnational mechanisms.